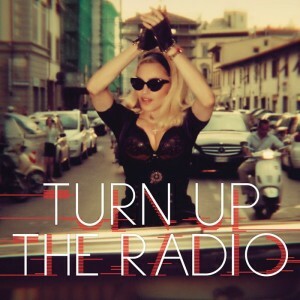 Pop megastar Madonna has just dropped the official video for the third single from her latest album ‘M.D.N.A.’. 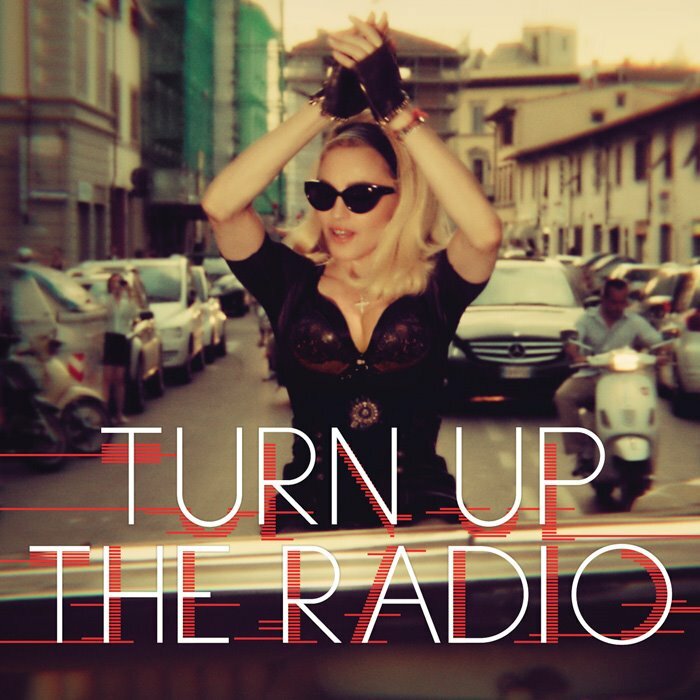 ‘Turn Up The Radio’ follows on from ‘Give Me All Your Luvin’ and ‘Girl Gone Wild’ and features as part of the setlist for her current world tour, which is slated to hit London’s Hyde Park tonight. It opens with our pop heroine exiting a hotel looking less than thrilled to be surrounded by screaming fans and paparazzi. However, when she pops into the massive tank of a car, she begins collecting handsome young men on her little journey, while having little regard for her own life by not wearing a seatbelt. And in one scene, standing up on the boot of the moving car. Don’t try this at home. We’re assuming it’s for this reason that the clip gets its “explicit” rating. I liked it yesterday when I watched it but now I hate it and her because she’s not coming to Australia to do concerts. Again. It gets an explicit rating because at the end of the video, the driver says, “The party’s over now put your belt on b!tch” in Italian.